It’s safe to say that there is shelving of some kind in almost every warehousing or other industrial operation, offices, and most commercial facilities. 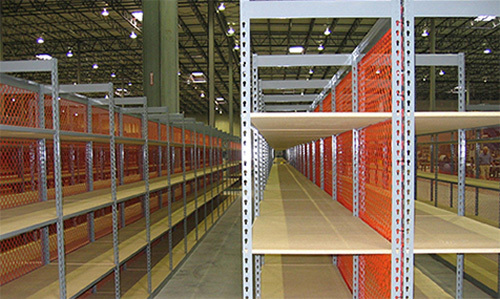 Even a sophisticated distribution center outfitted with AS/RS usually has fallback storage in the form of rack or shelving. 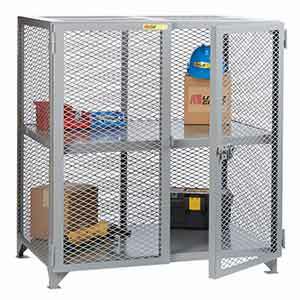 For those applications that require a lot of heavy-duty shelving, though, issues of capacity come to the forefront. 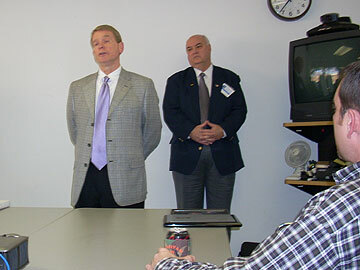 Cisco-Eagle and Hytrol Conveyor Company recently celebrated our partnership at CEI’s Dallas, Texas facility. Hytrol CEO Greg Goodner, Bill Hawthorne, Matt Farris, and Frank Nichols came to Dallas to present a plaque honoring Cisco-Eagle’s placement as one of the company’s top conveyor distribution partners in 2007. Cisco-Eagle typically finishes among Hytrol’s top 3 distributor/integrators, and recently passed $100 million in total purchases from Hytrol. 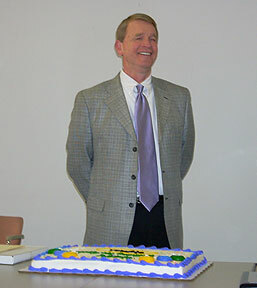 Since the gathering was a day before Goodner’s birthday, we honored him with a cake and happy birthday serenade. The National Crime Insurance Bureau estimates that over $1 billion of construction tools and equipment is stolen every year. Of course, if you’ve ever run a construction or renovation site, a large maintenance concern, a tool crib, or other industrial job site where plenty of valuable tools are there for the taking, that won’t surprise you in the slightest.